I treated myself to a haircut and pedicure today. My taxi driver friend picked me up and is escorting me wherever I want to go. It is a strange atmosphere here in Managua. I would call it SOBER . The hair shop where i go is usually very busy and I always have to wait. Today it was different. Hardly anyone there and nobody was joking and laughing like before. SOBER. I mean, the stylists were friendly and as always, did a great job. But no smiles. There was a tension. As I rode with my Taxi friend, I noticed something – how could I not. There were non-smiling police everywhere. EVERYWHERE; Lined down the roads. I still have a dentist appt but there was a gap of 2 hours between appointments (due to the less time required for my first appt). What to do? I got dropped off at the big, popular Mall – Galeria. (I had already resolved to shop in only particular stores.) The atmosphere here is so SOBER. I am hungry so I came to the restaurant part. Well, maybe I won’t take photos but it is empty. So empty. And not even music playing. Que triste. Please understand that, by nature, the Nica people are a welcoming people. I always feel like they ‘See’ me. But today people are introspective. What effect has this experience had on me? Am I tempted to find another country to experience? NO WAY. These are my people and I am theirs. My heart is heavy but I will hold on tight to HOPE and the FAITH that there is still the amazing Divine Presence that has guided me here for so many years and also has given me so many stories to share. We here are NOT abandoned. 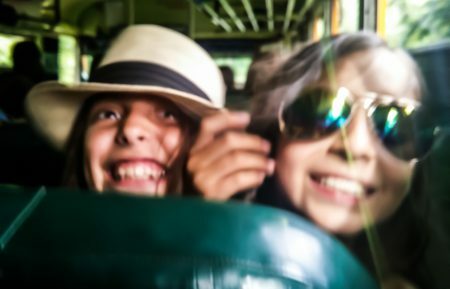 The future is still coming and the Nica smiles will once again shine, and when they do, so will mine. 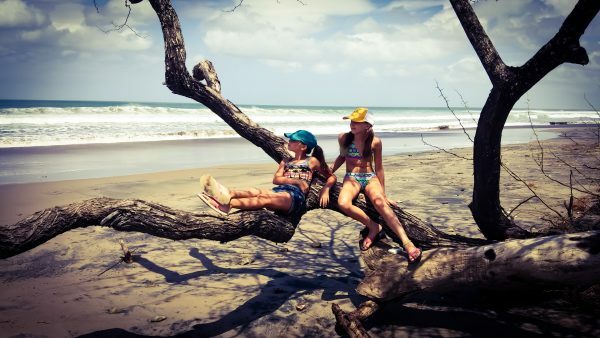 I had the extreme privilege of traveling to my beloved Nicaragua with my two oldest granddaughters. My oldest daughter will be married on July 9th on the beach here and we came a few weeks earlier than the rest of the clan. Adri (11yrs in the blue cap) lived here when she was younger, but Lilly (9 yrs- yellow cap) has only been here once when she was 2 years old. We stayed at a beach house without running water and the necessity of mosquito netting and thank God for FANS. We walked a long way on a beautiful empty beach (Guasacate) and discovered great shells for them to carry home. 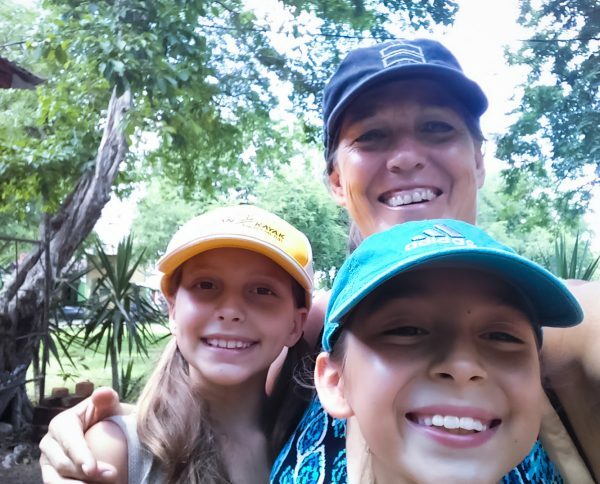 I was most excited to take them to my dear friend, Martita Romero’s home in a tiny pueblo to spend the night. The wonderful Nicaraguan hospitality reigned and the gallo pinto, queso and fresco was delicious. 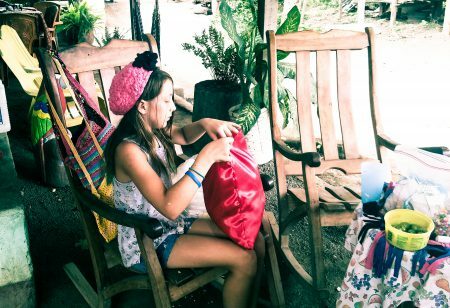 Lilly saw Martita hand sewing a pillow when we arrived and whispered to me that she wanted to learn how to do that. The next morning she managed to communicate this desire (even though she is just learning Spanish). 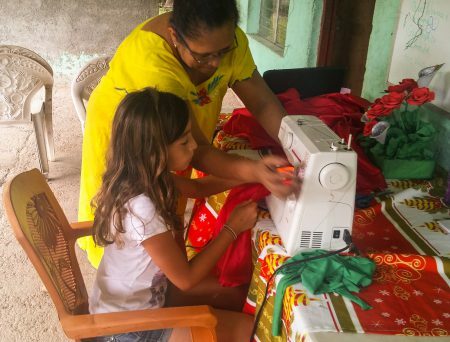 Before I knew it, the ladies of the house cleared their entire day for us and even brought the sewing machine from next door. Adri and Lilly will never forget that day, I promise. We went home, riding buses and taxis, dirty clothes and all, but tired and very happy. My granddaughters passed the test and cannot wait for me to take them further remote next summer. 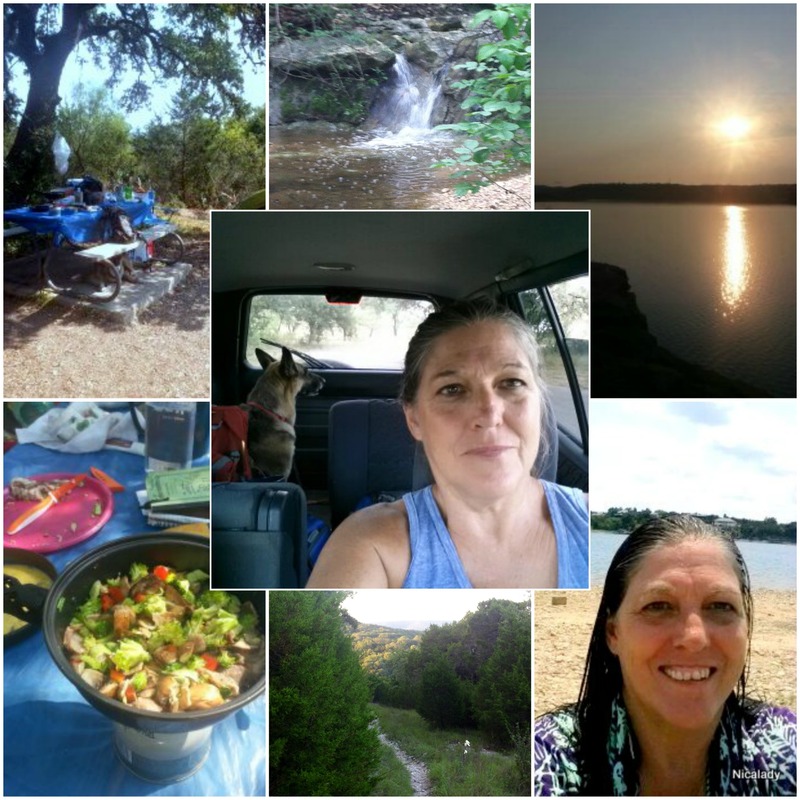 They pried many stories out of me during our adventure but no worries, I have plenty more! If you ever have the desire to join us on our unique adventures, just let me know! 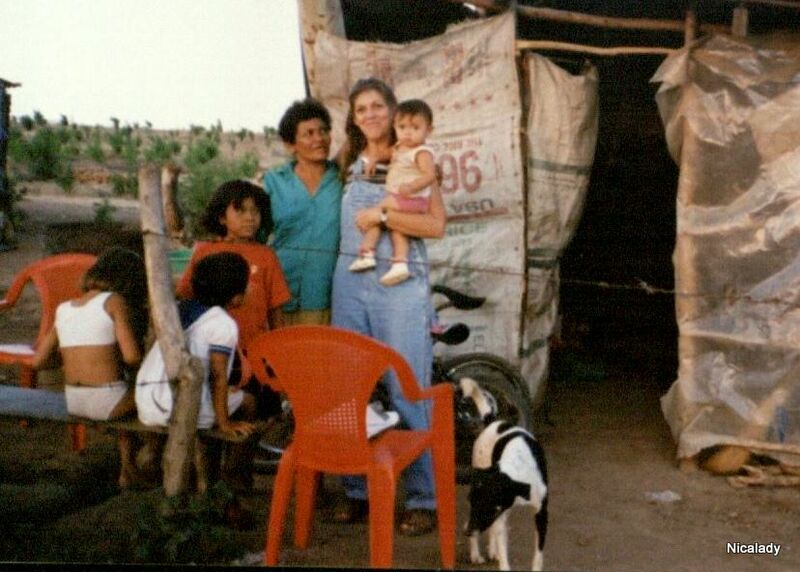 I was not afraid of moving my large family to a foreign country (Nicaragua) with no money and not even able to speak the language. I was not afraid to take my 9 children by myself to Texas, traveling by public buses and crossing 5 countries. I remember when my kids were small and we were living in Texas, I was a homeschooling mom. I discovered this great hands-on curriculum called Konos. I was so excited and I talked about it to all my friends. This was going to make such a difference. And then it sat and it sat. Months went by. What the heck! I was intimidated. I had no idea how to really use it, nor even how to begin. I think the big issue was one of those Stupid What ifs. Do you ever entertain those in your mind?? What if I fail? What if it doesn’t work? What if it proves to be a waste of time….WHO CARES!! Flash forward hmmm say 20 years. I want to be a writer. I have it all figured out in my head. For years people have said to me, ‘you should be a writer’. I would answer them, ‘not yet, I don’t have time. But later…’ And now is the time. But I have a few ‘KONOS’ in my life. Like this blog – should I only write personal stuff? Should it just be about my travels? Maybe my family life? But what about Missions of Grace (MOG) and the amazing projects I am involved in? But can I mix the two? UGHHH WHO CARES? Did I fight fear of success or failure when I was invited to ride in the jump seat and deliver Hurricane Mitch relief supplies to the Rio Coco area of Nicaragua?? NO WAY! I jumped in without hesitation. It was amazing! What about you? Do you fight those awful ‘What ifs’ in your mind? Do you ever fret about success vs failure? 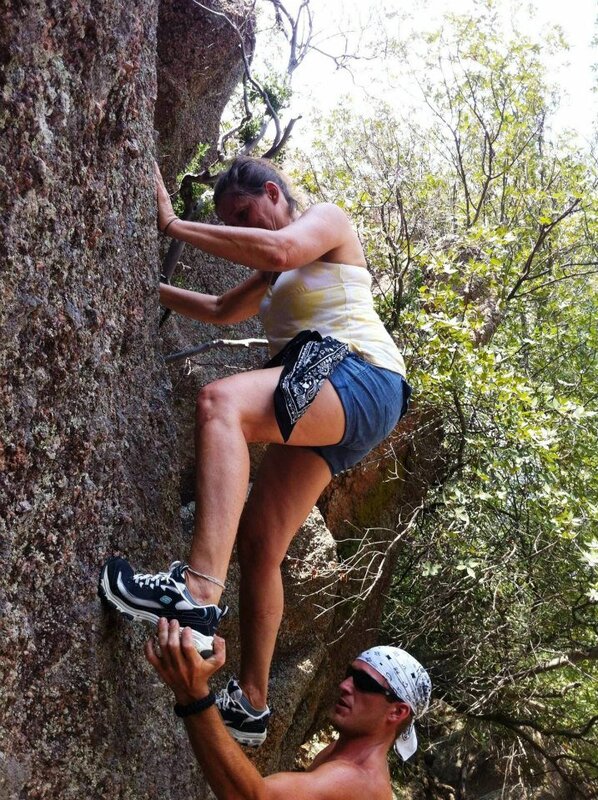 How about if we encourage each other?? JUST GET IN THE WATER!! 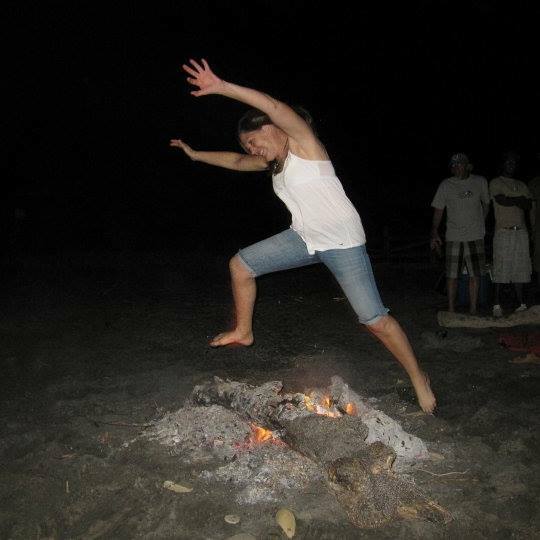 It is not often that I feel like I might actually be able to reach high enough to touch the sky, or jump carefully enough to not get burned over the fire. So when this does come, I say, GRAB IT, EMBRACE IT and RUN WITH IT!! I have been traveling and sleeping on couches, floors and foreign beds for 2 1/2 months now. I have a dream, I have a vision, but my heart has a limp, therefore chasing my passions bring on pain, discomfort and in-my-face struggles. Today, I am in my beloved Nicaragua and yes, today, my fingers are close to those clouds and my feet are not burned, just very hot. Please let me encourage you to keep on, follow your passions. So what if it requires sacrifice and loneliness and the same clothes forever and hand me down things. Life is so much more than the normal – Live! Jump! Reach! Take Risks. Each human being must keep alight within him the sacred flame of madness. WHY DID I GIVE UP MY HOME? I have skills, I have energy, I have desire and I want to believe in myself. I was born in the 50’s, I grew up in the 60’s, so it was natural to question the ‘status quo’. Did I want that? Will that give me satisfaction? Then in the 90’s I became a missionary. Did that give me satisfaction? I discovered that I did not fit that mold either. But where I did find satisfaction was ‘with the people’. Riding my horse, carrying medicine into the hills, helping rebuild homes after a devastating hurricane in Nicaragua (see photo above). The days I was ‘out there’, involved, bringing hope and love, that is where I fit. Have I changed the world? Not much, but I think I have helped change some lives, helped people begin to believe in themselves again, improved their quality of life at least a bit, and that is better than the remote control of my big TV, even better than a nice comfortable big bed (oh, but that is sooooo nice and I love it). Sometimes when I am sitting in my Wagon, wondering where to go to work on my laptop, or wondering where to get a good cup of coffee without paying five dollars, or hesitating to humbly ask one of my kids for a space on their couch, again..I pause and think maybe I am just crazy. But I believe. Not yet enough in myself, but I believe that there is a God and He has called me, He has trained me and that I have work to do, work set aside for me. If I do not step out and jump off this cliff of faith, the work will get done, but I will miss out, greatly. I moved out of the fantastic Austin condo where I resided for the summer on my birthday, August 22nd. I have no plans at this time for living arrangements other than to live mobile. Minimal stuff and minimal monthly costs = freedom to chase my dreams. What about you? How do you manage to chase your dreams?